Tips on booking a magician. Here are some pointers that you should take in to consideration when hiring a magician, what to look for, cost etc.. This information is based mainly on corporate events, weddings and parties for adults as that’s what I specialise in, but the same rules can still apply to the children’s entertainer. The type of event is quite relevant, if it’s a wedding, you may have some quiet spots, like when the photos are being taken or the bit after the wedding breakfast and before the DJ where tables and chairs are being moved to make space. Maybe its between speeches and awards at an awards ceremony. It is best to book a magician to perform during these quiet spots, sometimes people like to have the entertainment during the meal but this can prove to be tricky for the magician, that’s when people are engaging with each other and eating – would you like to be disturbed while eating? So plan what part you think is best for the magic to happen. The cost of a magician can vary from performer to performer and length of time can sometimes affect the cost. I know some magicians that will charge £50 for a couple of hours and others that will charge a couple of hundred for just 1 hour. My advice would be this… Do your homework! You are looking for someone who is a member of The Magic circle or International brotherhood of magician, if they are a member of equity, that’s even better. Someone with a good website, lots of pictures and at least one video of the artist performing. You are far more likely to receive better value for money if you book someone for just one hour at the cost of £275-£350 than someone for 2 hours for just fifty quid. Some magicians will charge up to £500 or more for just an hour and if you can afford it, hire them they will blow your socks off. Sometimes you may just want to hire a magician for a small 30-45 minuets cabaret or stage show, the magician can give a quote to his or her fees but again you don’t want someone for £20 to do just 30 minuets. Your choice of magician should be someone you like the look of by just seeing the web site, a good set of pictures, a show reel easy to approach and book. If you require more than one magician then just ask the other magician for his recommendations, I have personally have a few magician that I recommend when doing shows that are big enough that do require 2 or more magicians. Finally, recommendations of a magician from a friend or family member is always good and at least the performer has been see live by someone you trust. What a year it has been. I have been so busy with gigs all over London and Hampshire for the Christmas party season, from corporate events to private house parties. One of my highlighted seasonal gigs was for the Army at the beginning of december. I had misunderstood the booker, I was under the impression it was the Sergeants AND their Wives, an intermit party of about 30 people, possible a sophisticated event.......... How wrong was I, I found out about an hour before I left for the show that i was going to be performing to just the wives! Yes 30 Drunken women that don't get to go out much, aged between 18-35, AND I was the only entertainment booked. So I quickly changed my repertoire for my stage act and close up magic and had a brilliant night. 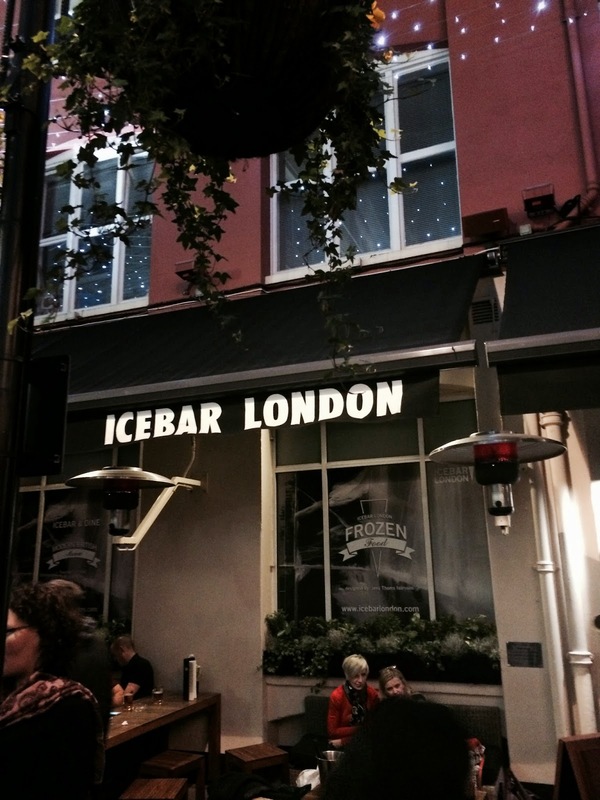 The last show of the year was at the Icebar London, Close up magic around the tables first then later in the evening I followed the lovely trixie kixx for an amazing stage show which went down a HOOT. It sure is a pleasure to work at some venues and the ice bar in London has to be one of the best without a shadow of a doubt!! By 4 o’clock I was dressed and ready to leave, with my bag packed full of magical goodies to dazzle and amaze the guests with, I gave myself plenty of time to get there as I was going by train, no problems on the way and I arrived at 6pm, an hour early which was good so I stood at the bar and sipped a nice cole glass of ice water. I met with the event organiser had a very delightful chat, all the employees at the IceBar are very polite and VERY accommodating which isn’t always what us performers get when working at a venue. The corporate party was held downstairs - 200 guests booked plus 5-6 waiting staff, 2 security staff, a DJ, an events organiser a magician (ME) and a partridge in a pear tree in one room with a max capacity of 200, it was not only noisy but hot too. The guests started to arrive thick and fast so I set about my doing my thing…..
Well all I can say is WOW, what a bloomin’ marvellous crowd it was, happy polite and very eager to see the magic I was performing. I was pulled from one group to another by one person because he wanted to show me off to his colleagues after seeing one of my favourite card tricks, I even had people coming up to me asking me to do magic for them while I was mid performance of a routine with another group. Its moments like that, that make me happy to do what I love doing, and in fact the whole night made me very happy I was buzzing after the 3 hour booking. “AND STILL COULDN’T SEE HOW I DID IT”. How can I top that?! The night ended with me demonstrating my talents with the same trick to 3 different groups of people (it was one of my favourite coin tricks). With that he gave me a beer shook my hand and I left. I had performed a few new tricks and even some old ones that I have not done in a long time, the new and old tricks are all going back in the bag, they all received top reactions. 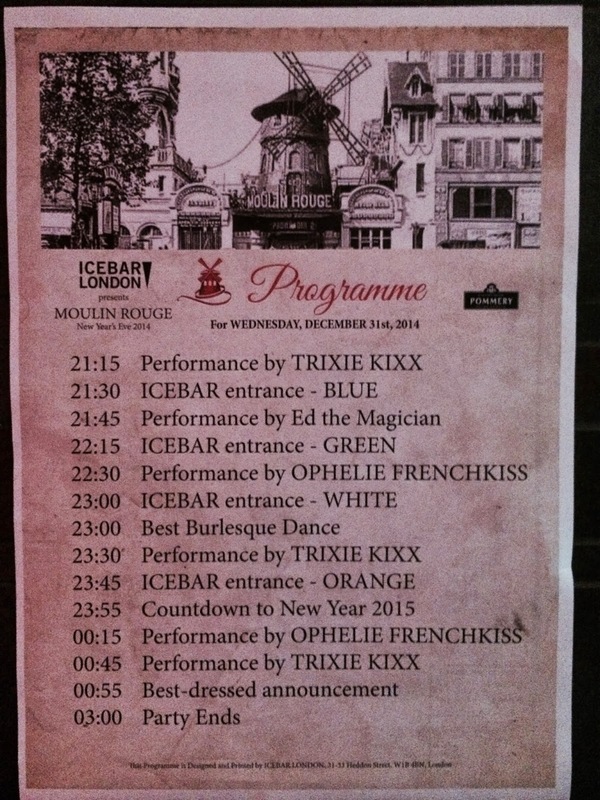 I look forward to the next IceBar gig! I hope to be bloging just as often as I'm gigging, but if i don't get time to write here you can always follow my extravaganzas using social media. I have created a Facebook page for myself all about my magic ongoings, so please do click on the link and hit like on the page! It probably won't be too long before i start to join other social media sites such as Pinterest or snapchat or Instagram; but for now its just these 3!!! Well last night was a wonderful private gig of all things magic in Farnborough, a family party. It is really good when people gasp in amazement and applaud you for something you have made vanish or appear, it's those moments that i love and cherish. I ended up doing 20 minuets longer because I forgot myself as I was simply having too much fun - probably more than the guests were?! I think the coming season will be a busy one! I just love weddings, when I get booked for one I just know its going to be a brilliant show. Cabaret/stage, table magic, walk around magic all work very well for making your guests laugh and mingle with each other. have a look here to find out more about what I can offer you on your special day; I am able to present a special trick especially for the bride and groom! Magic can be see all over Hampshire, London and the UK, the magic world is growing so thats its even all over TV, you can see live magic shows in London and in Ealing. So many people are booking magician for their weddings or a special birthday! Many people book me for the same events especially 21st, 50th, 60th and even 80th birthday parties. Ed is a professional magician in Hampshire, with over ten years’ experience in entertaining people all over London, Hampshire, Surrey and Berkshire. He specialises in ‘close-up’ magic and is equally at home roaming amongst guests at drinks/canapé receptions, hopping from table to table at seated functions or working from a stage. Ed has worked at major corporate events in Hampshire and London at venues such as the Dorchester hotel, Ice Bar London, Fortnum & Masons and the TV Choice Awards. He also works at many personal events such as weddings, birthday parties and proms. Ed is member of The Magic Circle (TMC) and the Zodiac Magical Society (ZMS), so you can be sure of the quality service that clients would receive. Copyright © 2014 Ed "The Magician". All Rights Reserved.. Simple theme. Powered by Blogger.